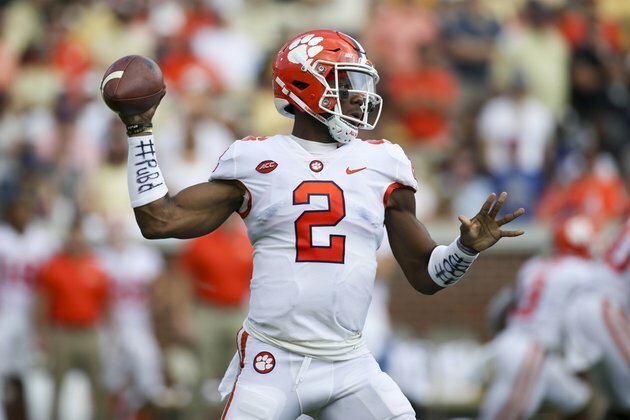 Former Clemson quarterback Kelly Bryant will try his luck at Missouri. Bryant announced his decision Tuesday night via Twitter, posting a video of game highlights and workouts as well as reading the poem "The Test of a Man." The 6-foot-4, 220-pound Bryant will have a chance to play quickly with four-year starter Drew Lock departing after this season. Bryant has one year of eligibility remaining and will not have to sit out a season because he is a graduate transfer. The 22-year-old Bryant announced plans to transfer from Clemson after coach Dabo Swinney chose freshman Trevor Lawrence as the team's starting quarterback in late September. After announcing his intent to transfer, Bryant visited a number of schools -- including North Carolina, Arkansas, Mississippi State and Auburn before choosing Missouri. Bryant made 18 consecutive starts for Clemson, posting a 16-2 record and guiding the school to the College Football Playoffs last year. In four games this season, Bryant completed 36 of 54 passes for 461 yards with two touchdowns and one interception. He has also rushed for 130 yards and two scores. Bryant finished the 2017 season with 2,802 yards, 13 touchdowns and eight interceptions in 14 games. He also rushed for 665 yards and 11 scores.